To woo the government jobs aspirants, UP government is releasing several jobs for the aspirants. 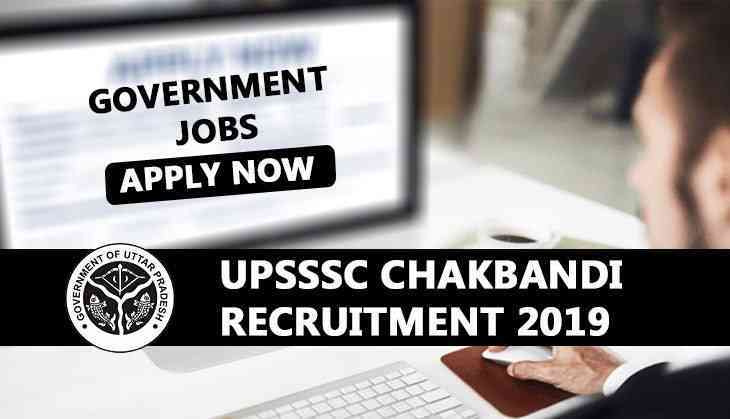 Now, the Uttar Pradesh Subordinate Services Selection Commission (UPSSSC) has invited an online application form for the candidates interested for Chakbandi and posts jobs. As per the notification, UPSSSC has released a job for the posts of Lower Subordinate. Therefore, all the aspirants can submit their application form before the application process closed. The last date to apply for the competitive exam is 19th February. All the interested and eligible candidates can submit their application form by visiting the official website of UPSSSC. There is a total of 672 vacancies released by UPSSSC. The minimum age limit to apply for the District Information Officer post is 18 years while the maximum age limit for the aspirants is 40 years. Candidates who are applying for other posts must be of the age bracket 21 to 40 years. Note: To know more details about the eligibility criteria, candidates can visit the official website of UPSSSC at http://upsssc.gov.in/. Candidates belong to a General and OBC category will have to pay Rs 225 as application fee while applicants from reserved category will have to pay Rs 105 and for Physically Handicapped, the application fee is Rs 25 respectively.